The approach is via a tree lined winding track that gives a feel of isolation miles from anywhere yet the property is only minutes away from local attractions and beautiful beaches . 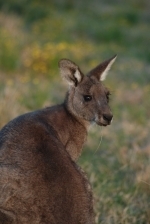 The hut is carefully located amongst the soaring eucalypts ,old paperbark forest and looks onto the natural wetlands , a quiet escape staying amongst kangaroos and wallabies at your doorstep with Jervis Bay only 5 minutes away . 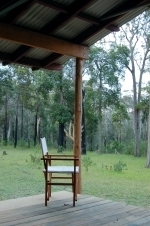 Built for privacy and comfort , the contemporary furnishings are built with timber from the property with all the comforts of modern day living . Cooking and bbq facilities are provided or better still order some takeaway food delivered to your door . A truly memorable experience and one to talk about ! !